Fugro deliver Earth and engineering data services, from project preparation through to data acquisition, processing, analysis and interpretation, reporting and consulting. eTrac Inc. provides geospatial data and solutions of the highest quality through technology, expertise, and innovation to a wide number of industries within the marine sector. 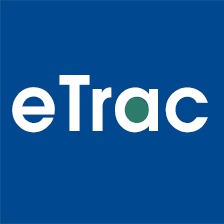 Lead by professionally licensed surveyors and certified hydrographers, eTrac Inc. has proven its success by maintaining its core values of safety, innovation, consistency, responsiveness and flexibility. 3D at Depth’s advanced subsea LiDAR (SL) laser systems and survey support services help clients measure, map, and evaluate underwater assets, resources and environments. Every SL1, SL2 & SL3 laser system delivers precise, repeatable, millimetric, 3D point clouds for high accuracy underwater surveys. Subsea 3D Measurements Services: 3D As-built CAD Modeling and 3D Mapping of Anomalies by VLS™ (Video Laser Scan™). From Seabed to Space, DimEye covers any kind of 3D Inspections including Mooring Chains, Flex joints, Anodes, Wellheads, Manifold, Spool Metrology and much more. Exocetus Autonomous Systems designs and produces underwater vehicles. The Gen 2 Glider is a unique long duration sensing platform for scientific, commercial and government use. It self-ballasts between fresh and salt water and boasts a a large modifiable payload and open architecture software. Glenair is a leading supplier of interconnect solutions to the Offshore Industry. We specialize in providing harsh environment connectors, backshells, connector accessories and sealed harnesses for a wide range of high reliability applications. Igloo Innovations is a product development and engineering service group known for our creative approach to new problems. Our team has considerable experience developing vehicles and seafloor systems for several high-profile clients. Reach out to us to learn more! Manufactures marine technology products. The Company offers autonomous underwater vehicles, camera systems, hydroacoustics, naval sonars, underwater navigation and security systems, and echo sounders. Kongsberg Underwater Technology serves clients globally. The leading manufacturer of Autonomous Surface Vessel Technology for offshore, coastal and inland marine operations. ASV Global develops industry leading solutions for offshore energy, science and survey applications all over the world. Manufacturer of groundbreaking new 8 Thruster ROV. The Oceanbotics SRV-8 ROV sets a new standard for underwater maneuverability, agility, strength and speed due to its unique design and use of 8 thrusters. It gets underwater jobs done like no other. Oceanbotics is a division of RJE International, Inc.
Saab Seaeye is the world’s largest manufacturer of electric underwater robotic systems. Founded in 1986 our elite technological environment continues to inspire pioneering technology that leads the industry with innovative solutions trusted to perform complex tasks in the most hostile environments on the planet. A wholly owned subsidiary of Saab, we have facilities in the UK, Sweden and the USA, along with substantial water tank and lake test facilities. Seafloor Systems rents and sells hydrographic survey equipment, provides service and training. We designed and manufacture the HydroLite Survey Pole Kit, the HyDrone-RCV/ASV Catamaran Platform, and EchoBoat-RCV/ASV. Since inception, built the largest multibeam rental pool in the U.S.A.
SIDUS Solutions’ innovative design and advanced technology has positioned us to be a global leader in pan & tilt and rotator manufacturing. Our subsea cameras, lights and lasers are designed put eyes wherever you need them. We are also proud to be your complete service provider of robust security and surveillance systems. For real time, 24/7 observation and data recording, SIDUS brings superior solutions to your design and application requirements. is an organization comprised of 23 leading-edge undersea technology brands that have been assembled by Teledyne Technologies Inc. These technologies span oceanographic instruments, subsea and surface vehicles, imaging sonars, and interconnect solutions. Collectively, Teledyne Marine is able to offer customers turn-key solutions to address a wide array of applications. Items on display will focus on subsea and surface navigation and imaging sonars for potential USCG applications.